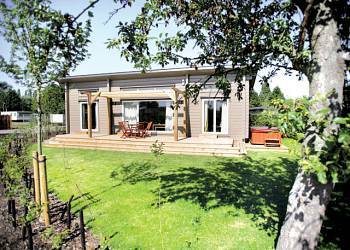 Roydon is a great location for a self catering holiday in a luxury lodge. Whether you plan to explore the local countryside that Essex has to offer or just to stay in the lodge and have a relaxing break, the choice is yours. We have details of 1 lodges in Roydon. If you don't see what you are looking for here why not expand your search to include neigbouring towns or other parts of Essex. Roydon Marina Village - Roydon Marina Village truly offers you the best of both worlds. Its located in a picturesque marina and countryside setting. However, it is only 30 minutes by rail to London.Perfect for either romantic breaks or leisurely family holidays, the contemporary lodges sit within the Lee Valley Regional Park.